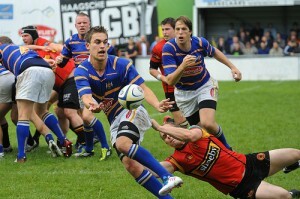 The 12th Haagsche Rugby Dagen (Hague Rugby Days) took place at the HRC over the weekend. This 3 day tournament has become the traditional kick-off to signal the start of new Rugby season in the Netherlands. This year the tournament was opened by Willem de Jong the new chairman of the NRB (Nederlandse Rugby Bond / Dutch Rugby Board). On the team front Lille Metropole RC (France) returned to defend their win from last year, and given their strength and speed they had no major problem in retaining the trophy. The other teams in the men’s main event whom Lille were up against were Slavia Prague (Czech Republic), the Dukes and of course Haagsche RC. These games were played off on the Friday evening and Sunday afternoon. The Saturday was a full day of rugby, starting with the Oude Dutch Masters who gave the crowd three hours of good rugby nearly all of which was played in driving rain, well it is August, what do you expect sunshine. The Dukes then took on the Dutch Rugby Academy, and the ladies performed well in a knockout competition between TU Delft, Utrechtse RC and Diok RC. The day was concluded with a full match between HRC 2/3 and the Rotterdamse Studenten RC. 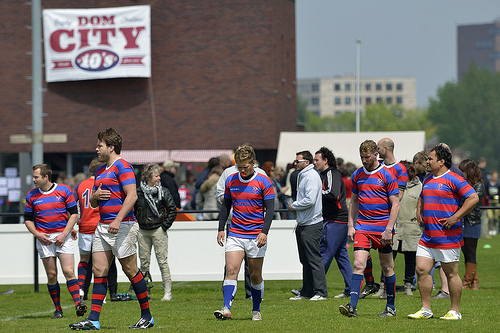 Amsterdam’s AAC rugby club held its 40th Sevens Tournament this weekend. Its one of the biggest Sevens Tournament is the world, with this year around 100 teams competing from various parts of the world. That’s a lot of rugby. Over the two days I took around 6000 photos that’s one hell of a lots or work to sort and process. Plus I’m booked for the next 3 weekend with other tournaments. So sorry it could take a few weeks to get them on-line. Utrechtse Studenten Rugby Society (USRS) held one of the first Sevens tournaments in the Dutch calendar. Easter Sunday, fantastic sunshine and around the 27’C mark,(so were told). 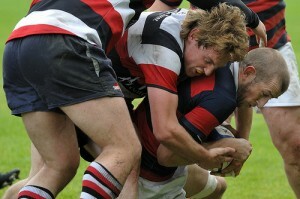 Two stream of Sevens were played: Experienced and Inexperienced. Sorry but as I have not yet cloned myself and thus covered only the experienced games. The two finals were held at the same time, so tried to cover these two matches simultaneously by hopping between the two fields. 8th round of the Dutch Ereklasse, Amsterdam AAC vs Utrecht. 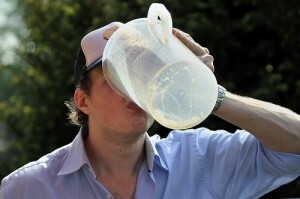 Amsterdam was also celebrating its 80th Jubilee being one of the old rugby team in the Netherlands. It was cold, and with heavy rain and dark clouds not good conditions for any quality photos, so sorry heavy grain in these pictures. 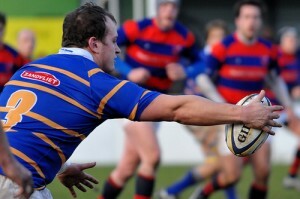 First day of the 2010-2011 Dutch rugby season. Haagsche RC1 playing Utrechtse RC1 in Den Haag. Photos by Kevin Scott.Org on Flickr. 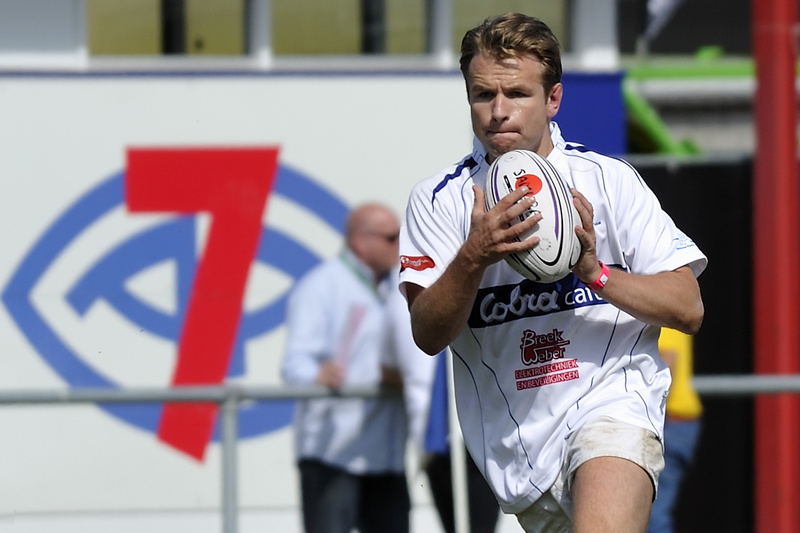 Sets for the NSK Nederlandse Sevens Kampioenen (Dutch Sevens Championship).